We tailor itineraries suiting your likes and preferences, set sail on idylic waters onboard luxury gulets and anchor at secluded coves. Our yachts and gulets are based in Bodrum, Marmaris, Fethiye and Gocek. You can combine Greek islands and Turkish coast in one cruise, this is a unique possibility in the Mediterranean where within a few miles you can hop between two countries. 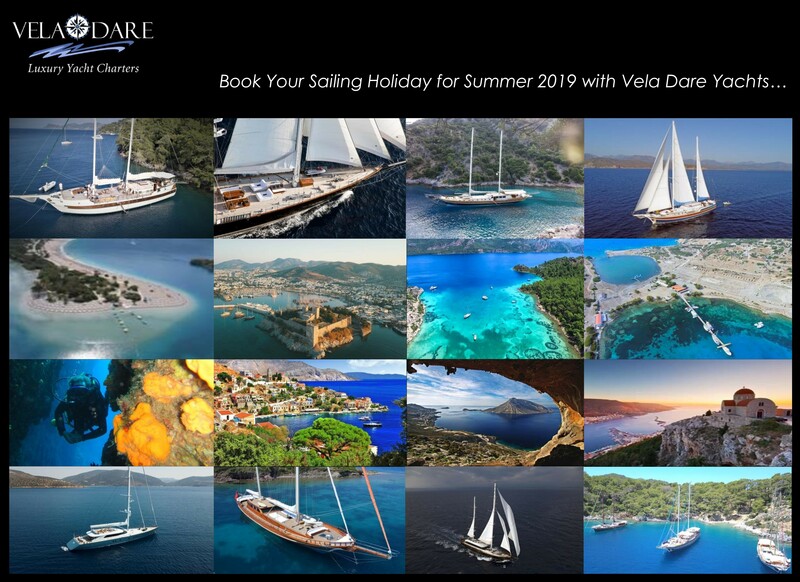 Vela Dare offers high quality, all inclusive gulets cruises. Post or pre-cruise land tours can be incorporated to your sailing holiday. Highlights of Istanbul, Fairy Chimneys, Pergamon,Troy, Ephesus, Ancient world's two wonders and a lot more are all worth visiting and you are so close to them. We also provide selected villas in Gocek by Vela Casitas, a subsidiary of Vela Dare Yachts..